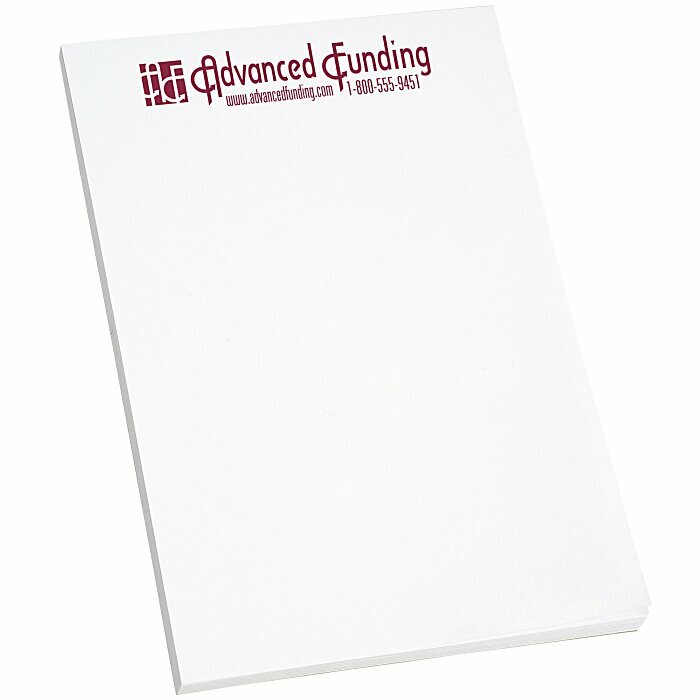 Put your message on every page of these white 50-sheet scratch pads! The paper writing tablet is an ideal for trade show giveaways! They are cost effective, and can be customized with any creative illustration or logo. Best of all, they are a welcome and frequently used gift for the home or office that will build your business. Glued edge is on the 4" side. For larger 7" x 5" pad, please see item #335-W-50. Size: 6" x 4" x 1/8". Your price includes a one-color imprint on each sheet.